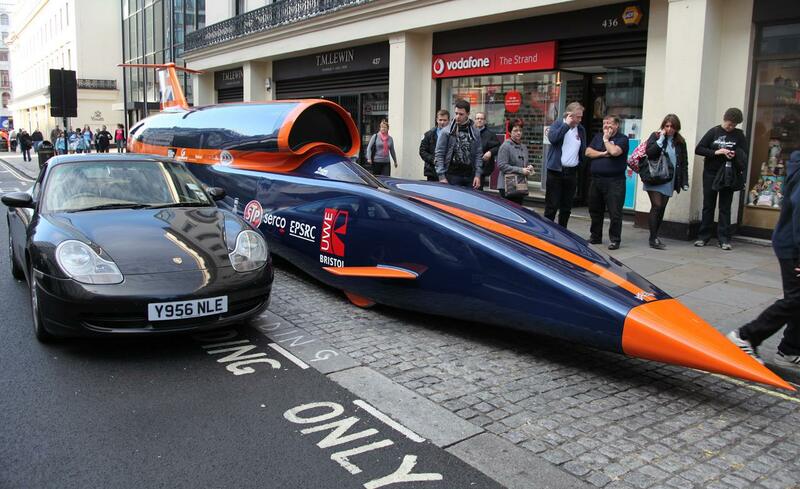 Bloodhound SSC is a supersonic land vehicle that has been developed to attain the speed of 1,000 MPH. The project was announced on October 23rd, 2008 at the Science Museum in London by Lord Drayson before it was proposed to Richard Noble, engineer, adventurer, and former paint salesman, who had reached the speed of 633 MPH while driving the turbojet-powered car named Thrust2 across the Nevada desert in 1983, and Andy Green, an RAF pilot, who drove the ThrustSSC at the speed of 763 MPH in 1997. And on this past November 19th, Jaguar revealed further details about the new partnership with the Bloodhound World Land Speed Record project following the significant high-speed test in South Africa earlier in the month, which marked the start of a major technical partnership between the British carmaker and Bloodhound. This vehicle is the ambition of breaking what has been considering the human limit. Made of titanium, carbon fiber and human bravery, the car will not just transport a man at a speed of 1,000 MPH, but also transport us to a new era. “We’ve been through a huge evolution of finding something that’s tough enough that would do the job. Basically this car goes faster than a speeding bullet, so anything that hits this is like being shot at from a gun,” said Andy Green. What do they expect from the partnership with Jaguar? 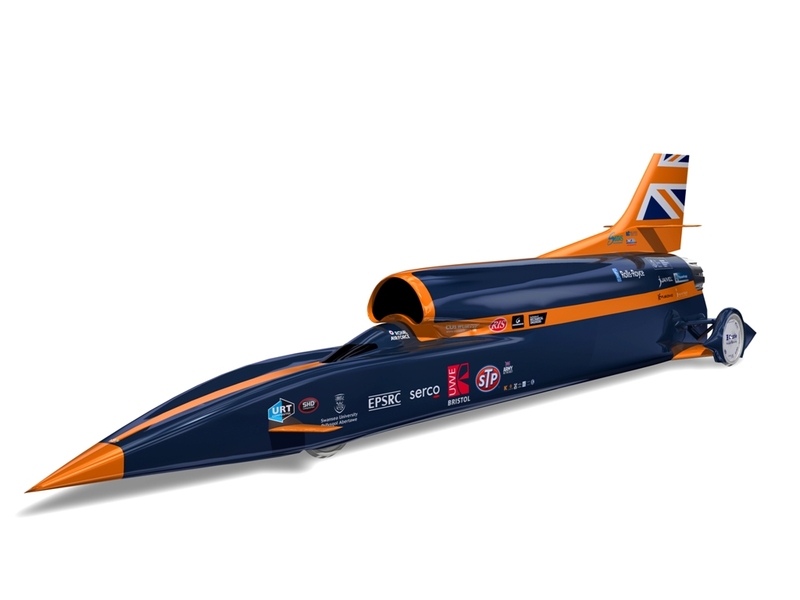 As a “Main Partner” and “Innovation Partner”, the carmaker will assist Bloodhound in raising the World Land Speed Record above 1,000 MPH, as well as helping to inspire the next generation of scientists and engineers. The next drive will be held in Hakskeen Pan, a dry lake bed in South Africa, in 2016 for a crack at the record-breaking attempt. So far, Jaguar’s 5.0-litre 550PS supercharged V8 engine will play a key role in the running of the car providing essential hydraulic services and also driving the rocket’s oxidizer pump. This pump will supply 800-litres of High Test Peroxide to the rocket in just 20 seconds — equivalent to nine gallons every second. “This is about developing technology. This is about finding out new things. This is about exploring. And the story of engineering exploration is about the failures and the challenges, not just about the successes,” said Andy.